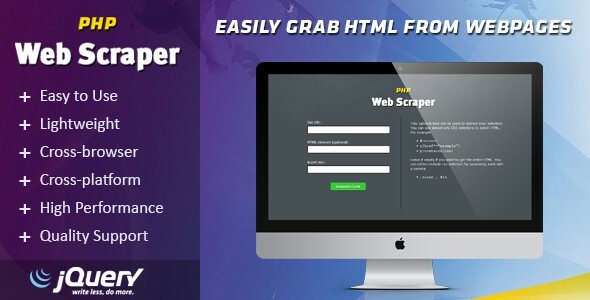 PHP Web Scraper - Easily Grab HTML From Websites - CODELISTPRO | Free Premium Scripts, Plugins, Apps Source Code. PHP Web Scraper helps you generate code to automatically get HTML from a web page and display it on your website. The main benefit of using this plugin is that it directly retrieves HTML from the source you specify, so the data always remains up-to-date. This is especially useful for grabbing frequently updated data like news, prices, stock quotes, rankings, etc.